Why Adsense Earnings Dropped dramatically [Low RPM]? Adsense publishers are complaining about why Adsense earnings drop, what is the reason behind this huge drop in Adsense earnings, Adsense low CPC, Adsense low RPM, Adsense low CTR and many other queries responsible for this decline in the earnings. Today on 1 January 2018, I have removed the Stats of CPC, CTR and RPM as showing these stats are not allowed by Adsense. If we do so then it would be violation of their TOS. So, I also advice you not to share such type of details or screenshots on your blogs or forums. 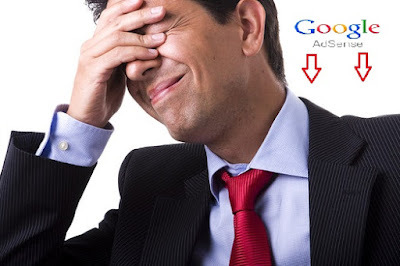 I am updating this post today with some more genuine reasons and facts for the question why Adsense earnings dropped dramatically this year 2018. A rapid increase in the number of Ad networks is also one of the major reasons behind this decline in Adsense earnings. Now there are lots of companies who provide Advertising opportunities at very low cost as compared to Google Adwords. So, advertisers are taking more interest in those cheap Ad networks. Nowadays, advertisers are not getting good conversions and leads and the ROI they're getting is very low. These all are happening just because of the use of click bots, fake views, clickjacking etc. Nowadays Advertisers are taking more interest in influencer marketing, sales campaign and other internet marketing strategies instead of PPC ad campaigns. If some are investing in PPC network then they spend low on these campaigns. If you are reading this post then you might already know about Facebook ads and how cheap they are as compared to Google Adwords. Not only cheap but also easy to access and use their dashboard. FB Ads do not have lots of restrictions like Adwords. 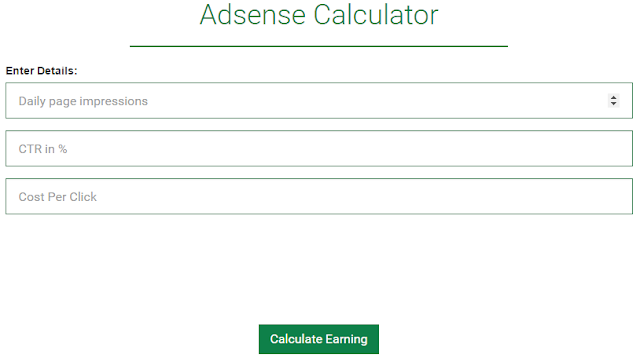 If you want to check google adsense earnings per visitor or want to know how much does adsense pay per 1000 views (RPM) then this Google Adsense calculator by SmallSEOTools will help you. You can make estimates of your Adsense earnings according to your views, CPC etc. Link to access the tool! How to Show Ads on Google AMP Pages of a WordPress Website? How to Track Adsense Earnings Of a Single Post! I don't think so much that it should be the reason of worry for the publishers. Earnings always fluctuate and it depends on the Advertisers' capacity to invest in their campaigns. Actually, Advertisers tend not to invest a lot after the holidays that is why there is a huge decrease in the earnings specially at the start of the year. AdSense has been getting lower and lower for years. It's based on a bidding system, new users are outstripping new Advertisers, therefore, forcing the bids down. Advertisers spend their money at different times and in different ways. There are alway vast changes over short periods, holidays, times of the year etc. There isn't a lot you can do about it. According to the reports of the publishers, a fact comes in front that January 2015 was about 1/2 of 2014 and now 2018 is 1/3 of 2015. There is always an advertising dip in January, but it's worse every year. I would like to share my story of earnings which have been decreased by 70-90 percent as compared to last month which was at the end of December 2015. But before proceeding, I am going to give you the best answer to this question... Why are Adsense CPC and Earnings low in 2018? This is a question we receive each year in January. Advertising budgets companies spend on AdSense has a strong negative trend between December and January which is purely seasonal and has something to do with the holiday season in many parts of the world. This is when advertisers spend the most. Often, site visitors are also more interested in ads when they are e.g. looking for holiday gifts. Both trends together result in a sharp drop in RPM (lower CPC, lower CTR) in January. As such, I certainly share your desire to keep the same level of earnings as December comes to an end, but it is the norm to have much lower earnings in January, and there is more or less nothing in particular you or us can do about it. Sorry about that. Best of luck with AdSense! Mostly publishers complaining that January 2018 is the worst month of the year for them. I am also facing the same situation. My Adsense stats in December 2015. Stats Removed: As it is not allowed by Adsense to share CTR or CPC. Adsense stats in January 2018. See and feel the difference, i.e., around a drop of 92.5%. Should I worry? But I don't. Because as I already told Advertisers spend their money at different times and in different ways, and the season of Valentine's celebration is on the way and coming soon and the Advertisers will invest again and at that time earnings will also increase. If you are the older Adsense publisher then you might be aware of these changes of Up and Down according to seasons. If you are a new then I suggest you not to worry, just wait and watch the things are happenings and soon you will be able to understand these seasonal changes. I hope this post may help you in relaxing your mind about the questions which were in your mind before reading this post. Also, if you are an Adsense publisher then please share your own stats, drop in earnings, views, and comment with our readers. 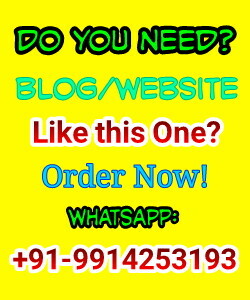 It would be appreciable and beneficial for you and readers both. Message: I hope that you have enjoyed 'Why Adsense Earnings have Decreased by 50-70% in January?' article on Tips2secure. However, if you want me to deliver more items, then please share my post. You can use Social Sharing Widget provided at the end of every post. After all, Sharing is Caring! I am also facing the same situation. i am little worry because my earning source is only youtube and i get per day 45k views but now days holiday season earning is too drop 2016. Don't worry it will be up soon. I do not worry anymore thanks to your tips! Hmmm... it's not a matter of worry. All will be fine soon. But when it will high? Unfortunately, this time you're not right. Trust me, this is not because of seasonal decrease, this is because of another World Wide Crisis, which may affect all your future life. So, you ought to worry! Really helpful post and almost all your post are east to understand and helpful . tnks for ur experience. its calm relaxing. You are always welcome here. Keep reading to know more amazing, latest and useful posts on Tips2secure. Indeed another factor is due to Ad Blockers. Did your earnings get back to normal? Mine are still 30-40% less as compared to November 2015. 30% less earning in January & February. Let's see in March what happens. Mine has improved a lot. Facing same problem, your post cleared lots of doubts in my mind. But the earning drop (Specially CTR Drop) is same as it was in january, Now its the end of Feb, Lets see March, I wish every publisher to get back to normal CTR, CPC, Earnings. Best of luck to all! I am totally rely on ad revenue. I am new to Adsense. I got upto 70 drop in my revenue it continues still now. Page views increased by 50 when compare to December 2015 but getting less number of ad clicks, CPM and page RPM. Why i didn't get higher ad clicks for this page views increase. How much traffic you get daily? Yes, all publishers are waiting for the same. You should analyse the reasons behind this and take some actions on it to improve the visibility and performance of your website again. My web visitors are up abd I have been improving my content, but my earnings have dropped 60% this year, and March is going to be the worst month in years. If this continues then I am planning to swap all ads for Amazon CPM ads (from Amazon.com) which pay per view, not per click. These have been performing well on the pages that I have placed them. I have around 50% U.S. Visitors and 40% UK visitors. Thanks for sharing your experience and further plans. I'm glad, this post helped you. I think that all are happening due to increasing number of Adblock users. You should use Anti Adblocking scripts to increase your Adsense revenues. Here is the Guide to use Anti Adblock script your site. Yes, you are right. Most of the publishers are facing the same issues. Yes, Adsense is not paying good nowadays. Yes, it is also from one of the reasons behind decreased revenue of Adsense publishers. So, it's August. While my views and minutes watched have nearly doubled since last year my income has been cut to just under half. This still cannot be the drop in January that happens every year. An update to this article would be nice. same for me .. I have +250% on view count for month in this 2016 but I have less earning of 2015. Youtube change somthing, the problem is different. Sorry but this article is all wrong. The article has been updated. My Admob revenue this year has only yielded 1/6th as much per day, on average, as it did last year and has not shown any sign of improvement through the entire year. I think, most of the problem happens from the content scrappers. Our website's degrading because of those thieves who stealing our content. I was getting good cpc, but from last month it started down. Also my clicks are decreasing, what should I do? Really very bad CPC now a days. This is also affecting me so badly,i have experienced a drastic fall in ads revenue and that is my main source of income,am thinking of switching to another ads network. I am facing same issue, 50% of decline in adsense payments, i have planned to shift towards other ads network, google putting so many restrictions with low cost, its better to choose any other mediation network. Same marked decline in revenue over the past two years now despite increase in my activity. the simple maths does not add up. I think its designed to be unquantifiable because we live in a world of micro statistics and micro analytics and yet when it comes to YUou Tube earnings nobody seems to really know? Really? This is true, my adsense earnings dropped by almost 50% in 2017, traffic is the same, maybe higher. Google doesn't offer any solution. Jan 2018 my earnings tanked very badly, i mean its worst, anybody else facing this wrath?